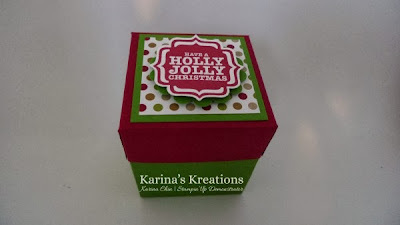 Karina's Kreations: Stampin'Up Envelope Liners Framelits Dies! Stampin'Up Envelope Liners Framelits Dies! I'm going to show you three project made with the Envelope Liner Framelits Dies #132172 over the next couple days. I love when you can use a product a few different ways. We're making this cute Christmas box using the smallest framelit in the set. 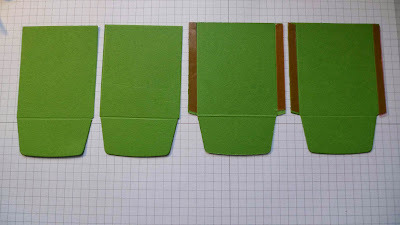 1.Cut four framelit shapes out of Gumball Green card stock. 2. Score each framelit across the top and along each side with your Stampin' Paper Trimer. 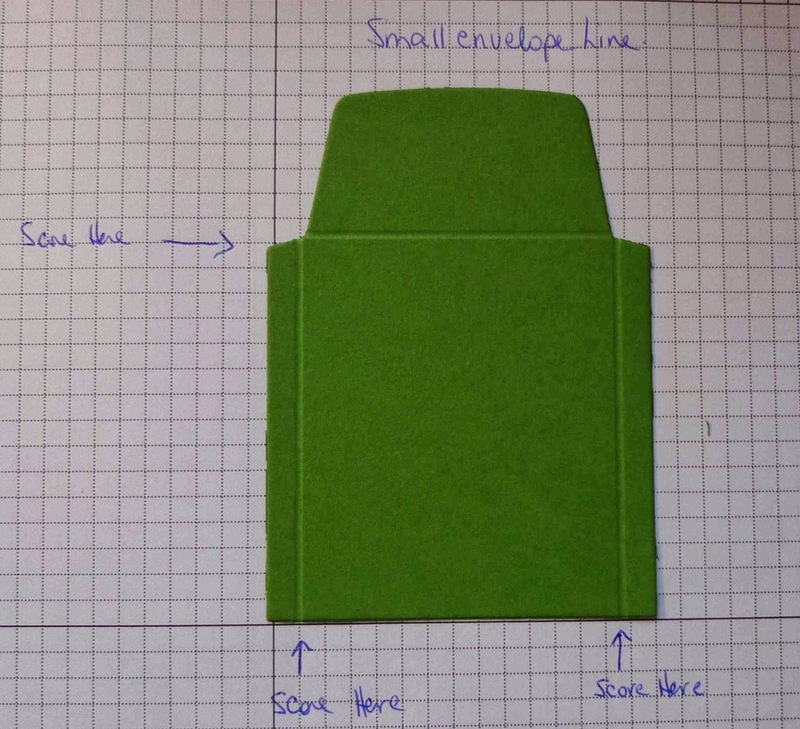 I lined up the liner with the scoring track on the paper trimmer. 3. 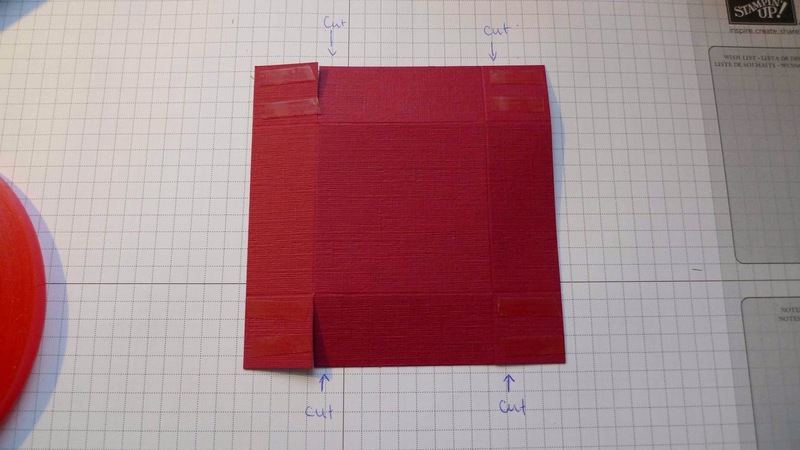 Cut the side flaps off two of the envelop framelits. 4. Place sticky strip along the side flaps of the last two framelits. 5. Attach all four framelits together. 6. Fold in two of the bottom edges. Close the last two using Sticky Strip. 1. Cut a piece of 4-1/2" x 4-1/2" Textured Cherry Cobbler card stock #132129. 2. 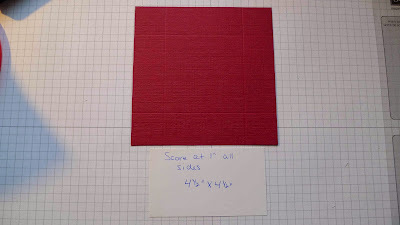 Score each side at 1". 3. Cut to the first score line as shown in the picture. 4. Add sticky strip to the four corners and fold to make the lid. 1. 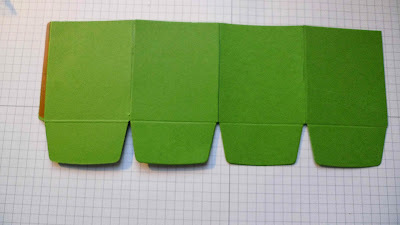 Attach 2" x 2" Season of Style Designer Series Paper to 2-1/4" x 2-1/4" Gumball Green card stock and attach to the box. 2. 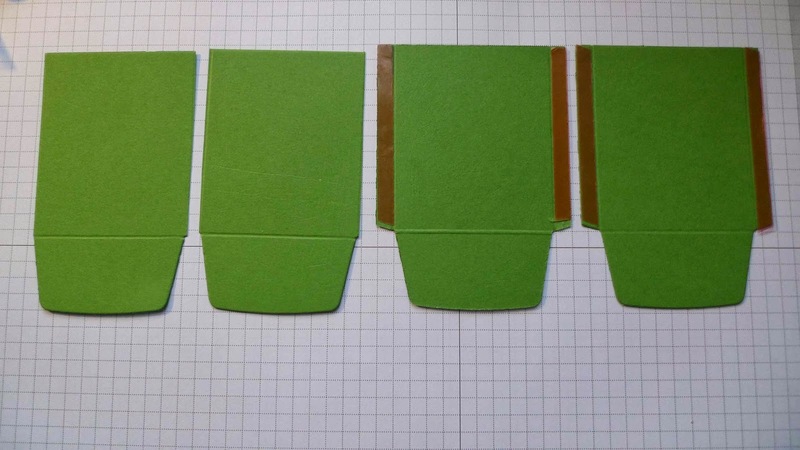 Punch out a Gumball Green Scallop circle shape with the 1-3/4" Scallop Circle punch. 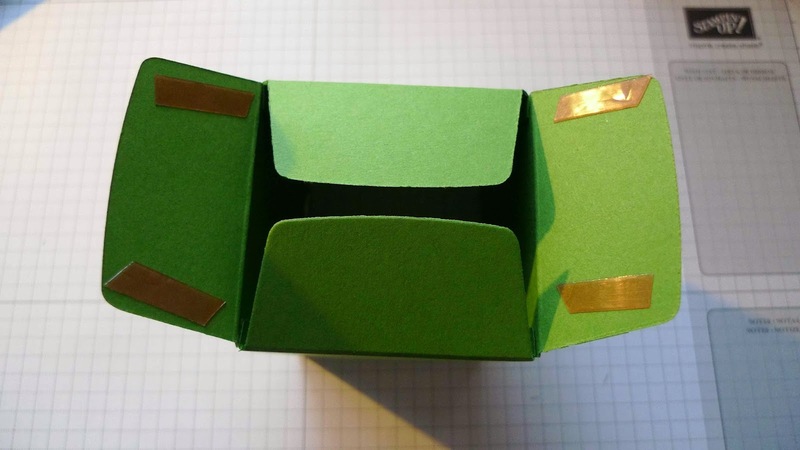 Attach to the box lid. 3. Stamp the greeting from theTags 4 You stamp set #131823 with Cherry Cobbler ink on Whisper White card stock and punch out with the Label Bracket Punch #132153. Attach to the lid. I hope you like my project. The original was designed by Angie Juda. Click here to order your Envelope Framelit Die!